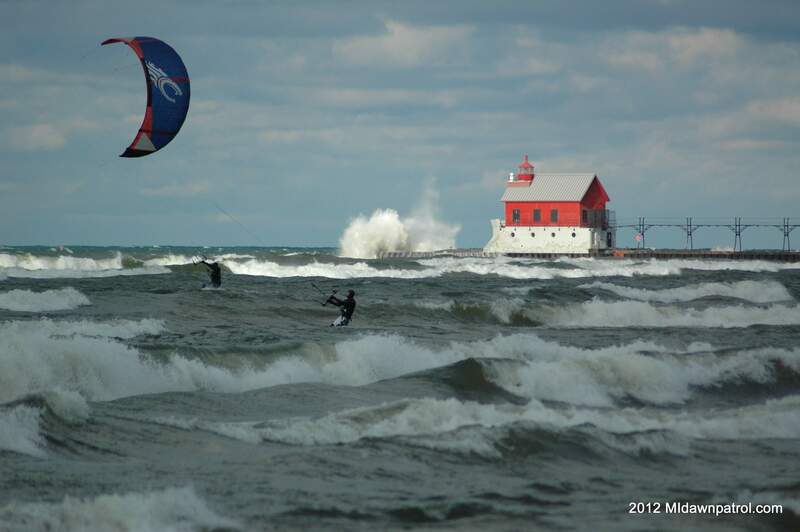 With a combined wind and air temp under 80 degrees it was way too cold for my 4/3 wetsuit but about 5-10 kiteboarders and surfers in Grand Haven were enjoying the unseasonably warm weather this winter day. It’s hard to tell it’s January from these pictures. Wind was blowing around 20 knots and some guys were boosting some nice airs. Looks like Sunday may warm up a bit and if it does I’ll be seeing you on the water!